The Texas Workforce Commission (TWC) Skills for Small Business program helps businesses with less than 100 employees train new workers or upgrade the skills of current workers. Since the program began, TWC has allocated $2 million in funding to support collaborations between Workforce Solutions partners and small businesses. Small businesses account for 97% of employers in Texas. In recognition of National Small Business Week, we’re celebrating our state’s 483,430 private-sector employers with fewer than 100 employees and sharing their success stories through the training received through grants from Skills for Small Business to improve the skills of their employees and build a stronger workforce throughout the state. Solar CenTex, now a Solar Power World Top-500 national solar contractor, trained its initial workforce through a Skills for Small Business grant. Partnering with Central Texas College, Solar Centex took military veterans from the adjacent Fort Hood and trained them on basic and advanced solar photovoltaic installation skills. “I knew I had great people with the right character, but I needed to get them the right training and solar-specific skillset. The SSB [Skils for Small Business program] and Central Texas College helped us get there,” said Scot Arey, Founder and Owner of Solar Centex. “These same first-on-board employees are now our senior leaders four years in. They have continued to grow as the company has. It all started with the training they received.” Solar CenTex recently opened another office in San Angelo and is ready to use additional Skills for Small Business training to enlarge its workforce. Through the Skills for Small Business grant program, eligible small businesses can receive up to $1,800 in training for each new worker and $900 for each existing worker for classes offered at their local community and technical college. Employers seeking more information about the Skills for Small Business program, including applications and information about how to apply, may visit the TWC website at www.texasworkforce.org/ssb. Pictured from left are two conference attendees, TWC Commissioner Representing Employers Ruth R. Hughs and Keynote speaker Geneva Grainger. October is National Women’s Small Business Month and the Texas Workforce Commission (TWC) is celebrating the contributions of women in the Texas workforce. TWC Commissioner Representing Employers Ruth R. Hughs prepared a brief video message in recognition of the month long celebration. In September, TWC along with the Economic Development and Tourism Division of the Office of the Governor, Alamo Area Council of Governments, and Workforce Solutions Alamo, hosted the Inaugural Governor’s Business Forum for Women in partnership with the Governor’s Commission for Women. The sold-out forum provided women-owned businesses and entrepreneurs with informative sessions on finance, branding and communication and business development. This forum was so successful that it will become a regular series of Governor’s Office of Small Business Assistance Governor’s Small Business Forums, which promote the state of Texas as a premier business location. This forum brought together resource partners from the University of Texas San Antonio Business Development Agency Business Center, Texas Women’s University Women’s Leadership Institute, US Small Business Administration, and Texas Facilities Commission, along with corporate and business leaders to share best practices for creating dynamic changes in today’s world and seizing opportunities and overcoming obstacles. “TWC believes that small businesses are the backbone of the Texas economy and women play a key role in the success of the state. Texas’ history of women-owned businesses is longstanding and it is great to acknowledge these business owners for their hard work and commitment to excellence,” said TWC Commissioner Representing Employers Ruth R. Hughs. Texas currently ranks second in the number of women-owned businesses, but Texas numbers are growing at more than twice the rate of all businesses nationwide¹. Women business owners serve as important role models for potential job creators across the state and play a significant part in the Texas economy. Texas has been listed as the most small-business friendly state in the nation and also earned an A+ from entrepreneurs who started a business in Texas². Women-owned small businesses are an important part of our state’s continued economic success. TWC Commissioner Representing Employers Ruth R. Hughs spoke to attendees on the topic of “Having a small business in a big business world” during the Inaugural Governor’s Business Forum for Women. This is the seventh year of the Governor’s Small Business Forums, which have been held in rural and urban locations throughout the state and are designed to support the more than 470,000 Texas employers who employ 100 or fewer workers. These forums are designed to give entrepreneurs and small businesses valuable tools, skills and knowledge needed to thrive in today’s fast-paced economy. Featuring a wide range of instructive seminars and expert speakers offering vital information on both public and private resources, the forums offer a great opportunity to network and connect with industry specialists, government officials, service providers and other regional businesses. 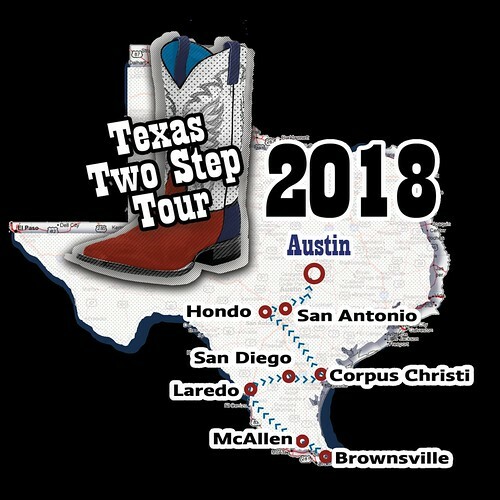 Upcoming events will be held in San Angelo, Brownsville, Victoria, Lufkin and Round Rock. For more information on dates for these events, visit the Texas Wide Open for Business website. Employers who hire a Qualified Long-Term Unemployment Recipient are now entitled to receive up to $2,400 in tax savings for each individual added to their payroll starting January 1, 2016. As part of the Protecting Americans from Tax Hikes Act of 2015 (the PATH Act), this group was added to the list of targeted populations who qualify for the Work Opportunity Tax Credit (WOTC). WOTC, a federal income tax benefit administered by the U.S. Department of Labor for employers, helps targeted workers move from economic dependency into self-sufficiency as they earn a steady income and become contributing taxpayers, while participating employers are able to reduce their income tax liability. The Texas Workforce Commission (TWC) assists employers by certifying the eligibility of individuals for this federal employer tax benefit. For more information regarding the WOTC program, visit the TWC WOTC web page. Each group has specific qualifications and employers can earn a tax credit from $1,200 to $9,600 per eligible employee hired, depending on which group the newly hired worker represents. Sweet’s Shop has been serving 100 percent, old fashioned hamburgers to Snyder residents since 1954. Photo credit Sweet’s Shop Facebook page. In 2015, Legislation relating to training courses for certain food handlers was passed in an effort to eliminate food borne illnesses. The Texas Food Establishment Rules became effective in Oct. 2015 and gave businesses one year to provide training to all food service employees. For small businesses without a large training budget, providing the training to even a small staff can become a challenge. However, one Snyder restaurant Sweet’s Shop, went to Western Texas College to discuss their training needs and learned about the Texas Workforce Commission’s Skills for Small Business program. Donna Cutler, director of Workforce Development and Continuing Education at Western Texas College, encourages small businesses to apply. “TWC has established a very user friendly system and this program is a great way for small businesses to provide better training for their small workforce,” said Cutler. When a qualifying small business identifies a training need, courses may be selected from classes offered at their local community or technical college. Western Texas College worked with Sweet’s Shop to coordinate the food handling training needed for eight workers at the restaurant and provided certificates of completion. Sweet’s Shop’s Cruz Aviles found the application process to be easy and has advice for other small businesses. Skills for Small Business provides tuition and fees for employees who participate in an existing course applicable to a business need. Up to $1,800 may be approved for newly hired workers and existing employees may be eligible for up to $900. Newly hired workers include those who were hired within 12 months prior to receipt of the application. Through their partnership with Western Texas College, Sweet’s Shop was able to meet the new legislation ahead of the effective date for compliance. In addition to the food handler’s certification, Sweet’s Shop owners attended courses in marketing, Photoshop and QuickBooks. Donna Cutler has observed how the Skills for Small Business program can make a huge impact.